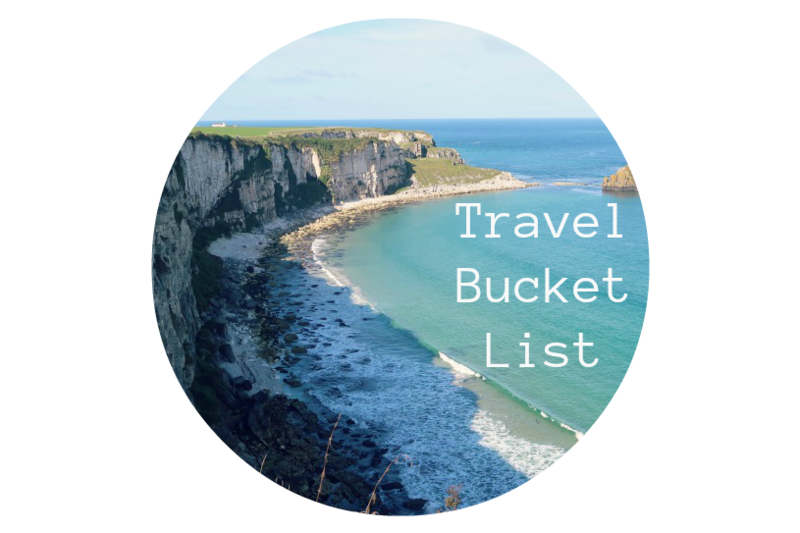 I've been thinking about my bucket list a lot recently and rather than having one massive bucket list I decided to break it down and to have it in certain sections. 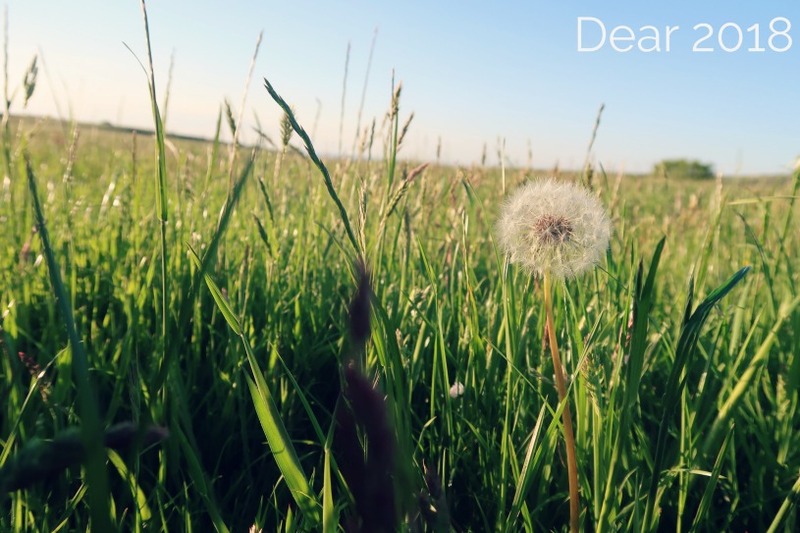 The easiest one being a 'Travel Bucket List'. I've been really lucky with holidays as a child and as an adult. Having been on 3 cruises I have visited a lot of places and although just for one day it is amazing to be able to say I have been there. And it's also a great taster to be able to see whether or not you would want to go back for a mini break or a weeks holiday. When I started to put together my Travel Bucket List I realised again that it would be easier to then put those in Subheadings. With some exciting holidays coming up this year and a boyfriend who has the travel bug and the desire to discover as many countries and see as much of the world as possible. First of my subheadings is the one I have managed to so far tick three places off, soon to be four. I've always had a soft spot for the Canary Islands and I think that's the main reason visiting all of them is quite high on my bucket list. I've visited Tenerife three times now and it is one of my favourite places to holiday. I've been around the same area each time I've gone. As I've been three times it's now not top of my re-visit list, however, I would love to go and to stay in another area to explore different sites on the island. 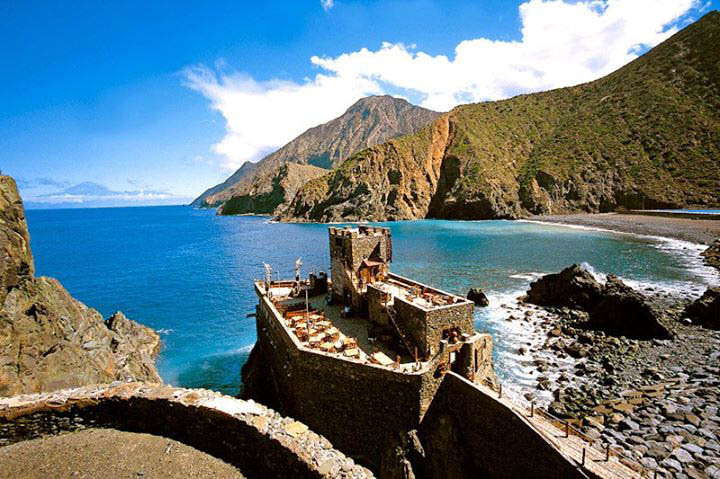 Next time possibly staying at Los Gigantes. We stopped their for lunch the first or second time I visited and although it was just a short visit I really fell in love with it and have always wanted to go back to explore some more. Maybe even going on a boat trip along the coast to see that view of the island. "Tenerife is the largest of Spain’s Canary Islands, off West Africa. It's dominated by Mt. Teide, a dormant volcano that is Spain's tallest peak. Tenerife may be best known for its Carnaval de Santa Cruz, a huge pre-Lent festival with parades, music, dancing and colorful costumes. The island has many beaches (with sands from yellow to black) and resort areas, including Los Cristianos and Playa de las Américas." Gran Canaria was the first Canary Island I ever visited, back in the early 90's. In fact it was the first holiday abroad I ever went on with my parents, brother and my nan. I've got such fond memories of this holiday. Of my nan posing on a rock and my brother splashing her, her laughing and calling him a "little 'orror'". Of spending hours in the pool. Of laying on my front floating on the pool seeing how long I could do it for and an old man coming over checking I was ok because he thought I had drowned. Of my first crush on one of the entertainment team, Jake, who had the hairiest blonde legs I've ever seen. Dancing with my dad and then getting embarrassed as a lady was watching us and was saying "awwww so sweet". Dancing at the kids club every night and being allowed to stay up to watch a Drag show. Of walking around the pool with my brother late at night and a worker being there cleaning out the leaves. We asked if he spoke English and his reply was "a liddle liddle liddle bit". Gran Canaria does seem to have changed a lot since I visited all those years ago and whether or not it is somewhere I would now want to revisit, I don't know, but I'm glad it's already ticked off my list. "Gran Canaria is one of Spain’s Canary Islands, off northwestern Africa. 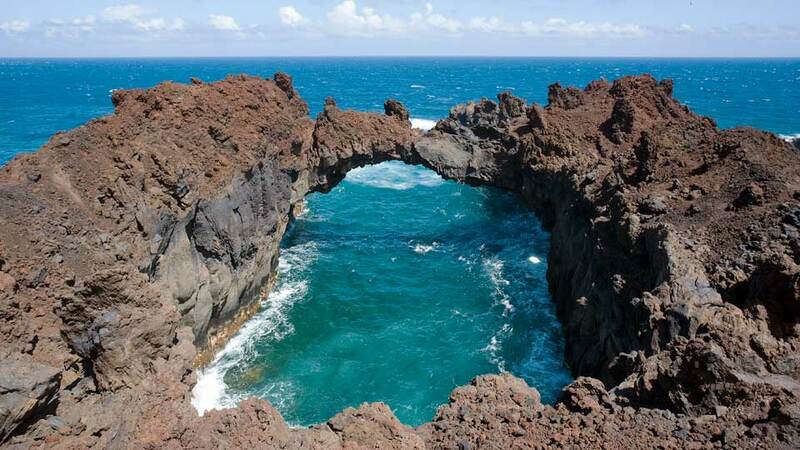 It's known for its black lava and white sand beaches. Its southern beaches include bustling Playa del Inglés and Puerto Rico as well as quieter Puerto de Mogán and San Agustín. In the north, capital city Las Palmas is a major stop for cruise ships and duty-free shopping. The island’s interior is rural and mountainous." I visited Lanzarote in 2011. I was 26 weeks pregnant with Harry and Charles was a year and 8 months old. It was very windy and we had issues with the hotel we booked, resulting in us booking a second hotel and being moved within an hour or two of arriving. Despite the wind and hotel disaster I would revisit but only if it was a super cheap deal. I didn't get to explore the island as much as I wanted to. We were limited due to Charles' age and my baby bump, and therefore did miss out on excursions and certain aspects of the island which we may have enjoyed. I think with Tenerife being such big competition it had a lot to live up to and wasn't going to do that. However, I do believe in second chances so maybe one day will go back there. 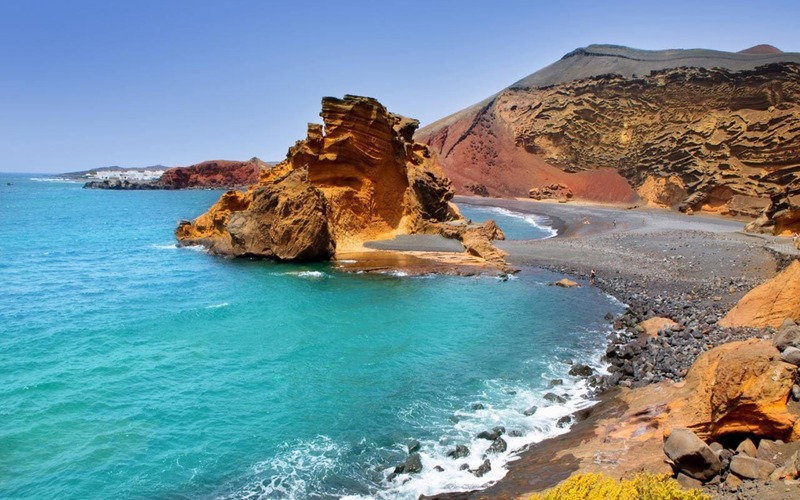 "Lanzarote, one of the Canary islands off the coast of West Africa administered by Spain, is known for its year-round warm weather, beaches and volcanic landscape. Timanfaya National Park’s rocky landscape was created by volcanic eruptions in the 1730s. Cueva de los Verdes has caverns formed by an underground river of lava. East-coast resort Puerto del Carmen is home to whitewashed villas, beaches and dive centers"
In just over 5 weeks time I will be ticking Fuerteventura off my list! I'm so excited. It is mine and my boyfriends first holiday together which it super exciting in itself. Just spending a full week with him is enough to make me happy but with the added week of chilling out and just relaxing. Whether or not we explore much of the island we don't know as yet. I think it will be a case of see how we feel the week before and whilst we are there. We might hire a car for a day or two or see if we can get a bus up to the top end of the Fuerteventura so we can take a boat trip to a smaller island. I've always wanted to go to Fuerteventura so I'm happy that I am finally going. Fuerteventura, the second largest of Spain’s Canary Islands, sits in the Atlantic Ocean 100km off the north coast of Africa. It’s known primarily as a holiday destination due to its white-sand beaches and year-round warmth cooled by constant winds. The multitude of beaches that wrap around it are interrupted by cliffs and sheltered coves. It's popular for water sports, especially surfing, windsurfing and waterskiing. My boyfriend went to La Palma last year and after seeing his photos it has really made me want to go. "La Palma is one of Spain’s Canary Islands, off northwestern Africa. Its rugged, forested terrain is dotted with volcanoes like Teneguía and Cumbre Vieja. The island's capital, Santa Cruz de la Palma, is a port town with narrow cobbled streets and houses with wooden balconies. The Caldera de Taburiente National Park has a huge crater-shaped formation and is covered in pine forest and cut by waterfalls"
Probably one of the least well known of the Canary Islands, La Gomera looks absolutely stunning. Prices aren't as cheap as other Canary Islands but it looks well worth the price and a visit! "La Gomera, the second-smallest of the main islands in Spain’s Canary Island chain, is marked by craggy volcanic mountains crisscrossed with hiking trails. In higher altitudes, dense forests of ferns and moss-covered trees grow in the mists of Garajonay National Park. Toward the coast, the Valle Gran Rey canyon leads past the whitewashed cliffside village of La Calera and ends at black-sand Atlantic beaches." Again, like La Gomera, El Hierro is another of the lesser known of the Canary Islands. Looking on Google it is exactly the type of terrain I like. I have discovered that I have a thing for Volcanic islands. There is something so beautiful and interesting and I definitely think I prefer that sort of landscape than any other. El Hierro, nicknamed Isla del Meridiano, is the smallest and farthest south and west of the Canary Islands, in the Atlantic Ocean off the coast of Africa, with a population of 10,162. Its capital is Valverde.